In a new Pew Research Center report, nearly 1,600 technology experts give their thoughts about how the “Internet of Things” — wearable computers, processor-embedded products and other digital advances — will alter society over the next decade. Many (though not all) of the experts foresee, in the words of the report, “a global, immersive, ambient networked computing environment” that will change the way we do everything from stocking our fridges to finding our soulmates. Such predictive exercises have a long history, going back at least to H.G. Wells at the beginning of the 20th century. 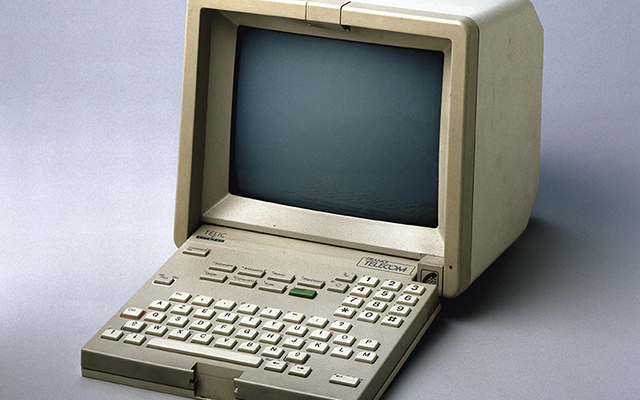 More than 30 years ago, the Institute for the Future, a Silicon Valley think tank, produced a book-length report on the development and potential impacts of electronic information technologies. What’s impressive is how much the report’s authors got right even though their fundamental assumption — that teletext and videotex, two nearly-forgotten platforms, would be in general use by the turn of the century — didn’t pan out. Back in 1982, when the report was published, not only was the internet nonexistent but its ancestor, ARPANET, had fewer than 300 host computers, mostly at universities, government agencies and the military. At the time, many observers believed that teletext (one-way communication) and videotex (two-way), delivered to televisions or special-purpose terminals via telephone lines or coaxial cable, would be the main vehicles for bringing electronic information services to the masses. 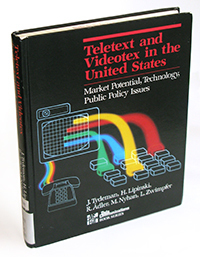 The report’s authors predicted that by 1998, teletext/videotex services would have “relatively widespread penetration. It may not be in every home, but it is probably in a neighbor’s home, and you might be considering getting the service yourself.” People would use the services for messaging, finding information, shopping and remote monitoring, as well as basic computing. Despite the differences in technology, that’s not a bad description of how people use the internet. (And for the record, about a quarter of the U.S. population was online in 1998).